Historicon is an annual historical gaming convention that happens every year in the month of July lasting over four days. Almost 4000 people from around the world come to Fredericksburg, Virginia to play in tournaments, attend seminars and participating in the Hobby University, which teaches skills in painting miniature figurines. The genre for the games consist mostly of historical ancients to history modern making, but can also include science fiction and fantasy. Historicon 2015 will be held from Jul 16 – July 19. One thing which will be different with this particular year is one of the key players will not be in attendance. John Hill passed away earlier this year will be dearly missed by all his friends and fans who regularly attend Historicon. A eulogy will be held honoring John during the convention. Dean West, one of John’s oldest friends and fellow game designer, will conduct the eulogy. 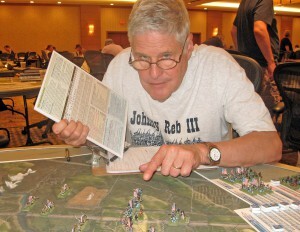 Historicon is for any gamers or military history buffs. If you enjoy playing scenarios of ancient military battles fought, Historicon would be a great event for you and the whole family. If you an Historical Miniatures Gaming Society (HMGS) member, the cost for you to attend is $25.00. That is for the whole four day weekend. If you only wish to come for a day, it is $15.00. If you are a non-member of HMGS, it is $50.00 for the whole weekend. Children 14 years and younger are FREE. Spouses who are non-playing are FREE. It is a pretty reasonable price. What if I am a newbie to Historical Wargaming? Newbies are always welcome. If you are a newbie, it is recommended you follow the tutorial to learn more about the hobby of miniature wargaming. Yes. There are over 1200 free parking places at the Fredericksburg Expo & Convention Center which is the site for Historicon. The convention is located at 2371 Carl D. Silver Parkway in Fredericksburg. Where are the closest major airports? Are there dining and shopping options nearby? Yes. The convention center is a 10 minute walk away from the Central Park Shopping Complex which is the 7th largest mall in the country. There are over 250 stores and restaurants. Some of the stores include Ann Taylor Loft, Barnes & Noble, which also sells the ADF books by John Hill and Squad Leader products, Best Buy, Clothes Mentor, Dollar Tree, Dress Barn, Ethan Allen, Family Christian Stores and more. Are there other things to do and see in the area? Yes. Fredericksburg is home to four major battlefields of the American Civil War as well as Kings Dominion Amusement Park, Virginia’s premiere theme park with thrill rides and roller coasters as well as Planet Snoopy for the little ones and Soak City, a family water park. How Do I Register for Historicon? You can either register online or by mail or on-site. For more information, visit Historicon: End of Empires. Very influential website. Very informational. Keep up the great work! Would like to read more and more articles about history to expand my knowledge in the field. Youre doing a great job! Thank you for visiting and your high interest in historical miniature wargaming. Miniature wargaming can provide historical education as well as fun while you learn. Please come back as the website develops. Im from the UK and this type of thing would go down really well there. We have tons of people interested in this type of thing..do you know of anything like this in the Uk? great informatve article by the way..good luck at the convention. I actually do not know much about the wargaming industry in the UK. That is an interesting topic I will have to research on. I am sure there are groups and conventions that are similar to this one in the UK. I do know the publishing company that has published all three of the Across A Deadly Field rulebooks is from the UK. They are Osprey Publishing. You can click on the ADF Store and on the detailed description of the rulebooks, you will see a reference to Osprey and the description they wrote. Sounds really interesting weekend with lots to do. 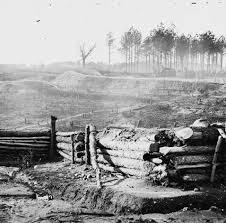 Are all the war games played out in miniature or do they do re-enactments with real people? Don’t know if you are aware but there is a bicentenary celebration of the Battle of Waterloo this coming weekend which has 5000 re-enactors, 300 horses and 100 canon. Thank you for visiting. A great question on whether this is a miniature wargaming scenario event or if it is a re-enactment with live people. It is only for miniature wargames. My father, however, was a re-enactor is his younger years. He used to dress up in uniform with all the usual weapons and he looked really authentic. On the Additional Links page of this website, you can view a PowerPoint I designed for my father’s memorial service and in the slideshow I have several photos of him in his re-enactment customs. You have given me some ideas on additional posts I can do relating to my father John Hill and different facets and talents he held. Please come back soon. I love history and going to Historicon does sound like a good family weekend even though I don’t play. It would be nice just seeing all the built scenarios and people playing. You mention that this is a convention for gamers and non-playing spouses and family can go too, but can a non-playing family go just to see the convention? Your question on whether families can go just to watch is an excellent one and I would imagine you could, but I would first check with the Historicon registration first. I think they would be open to it because they do enjoy promoting the hobby and enjoy showing interested parties what they are doing. Thank you so much for visiting and asking such a great question. What a marvelous idea steph. A shame I didn’t know about it when I had taken my son to Langhorne Mews in West Virginia. It was one of those very special times in our lives that would have been greatly enhanced had we known about the Historican. Also Stephanie, u have your site up to speed and the layout in easy to read and the man on the right hand side is easy on the eye. (Irish humour, intended as a compliment to your Father). Kind regards and bless you both. Thank you for incredibly kind words and sentiments and thank you for the compliment on him “being easy on the eye”. It is funny you mention Irish humor, because my father was Irish Catholic and had the humor to match it. 🙂 He would have certainly appreciated your compliment as well. Thank you for your kind words. I would like to think my father was proud of me in some ways and I am sure he would be proud to see this tribute site I designed in his honor. The round up of other activities is because as a family member of someone who was passionate about wargaming, I know I enjoyed seeing that there were other things to do in the area whenever travelling to these events. Sounds like a really great weekend, it’s a pity that I live in Australia but I think this is the type of weekend I would really enjoy. Great post, sounds like your father, John Hill, will be well honored. Thank you. Yes, I am sure my father, John Hill, will be remembered and honored at the Historicon convention. Thank you for visiting today. Please visit again soon. I would really like to go to that convention, but it is too far from where I live, do you know if there are similar event in Canada? I am only familiar with the ones in the United States, but you have brought up an excellent point of the need to reach out to war gamers on an international level. Thank you for your insight and ideas for further research and blog post topics. This is too cool. I have never even heard of it before. My husband would absolutely love this. Thank you for such great information! You are most welcome. What is nice about the Historicon is that it is held in Fredericksburg, VA and as shown on my blog while the husbands are playing their war games, the wives can take the kids and go off the local theme park Kings Dominion or go the huge mall. There are plenty of other things to do. And it is very reasonably priced. Thank you for visiting and have a great day!